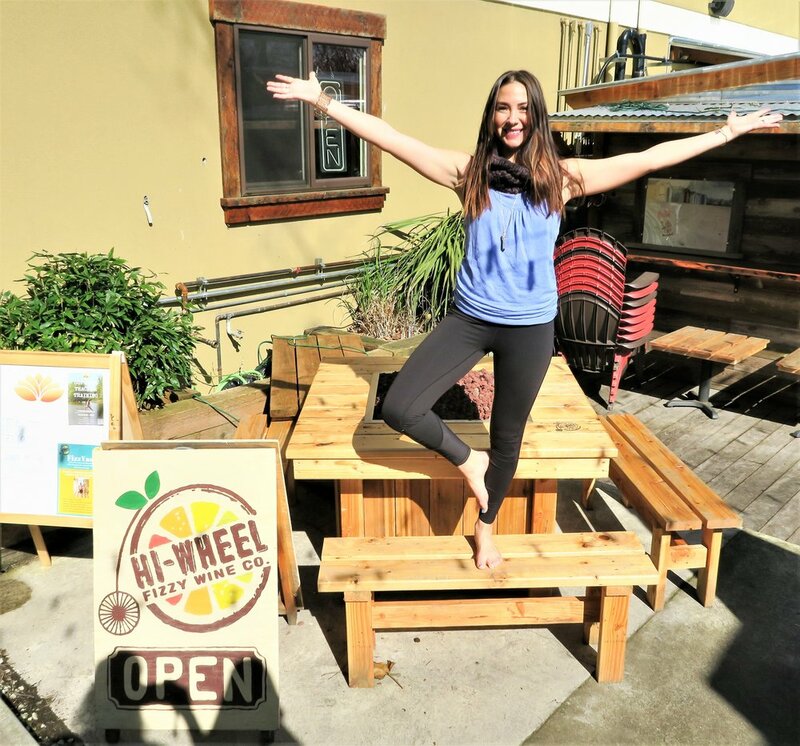 Hi-Wheel Fizzy Wines Company is hosting FizzYasa, a Vinyasa yoga class taught by Yoga to You PDX, every other Saturday from 10:30 am to 11:30 am at their local Taproom in Northeast Portland, Oregon. Doors open at 10:15 am! The cost is $20 and includes a pint of Fizzy Wine after the class! The class will be an uplifting, energetic flow for yogis of all levels! Enjoy a pint of Fizzy Wine after the class! All ages are welcome, but minors are asked to enjoy the patio once the Taproom opens at noon. Minors or individuals who do not drink will be offered a complimentary nonalcoholic drink after the class.